Speculation is fun. Scouring the Chromium repositories and looking for juicy morsels is exciting to us and often times it takes some serious mental acrobatics to create educated hypothesis on upcoming devices that are more than simple conjecture. Despite our best attempts, occasionally we miss the mark but it isn’t for lack of trying. With that being said, often times some simple fact checking goes a long way. The articles that filled my news feed last week about Google’s “mysterious Rammus” device are a perfect example of flat out bad reporting and failure to do an ounce of research before vomiting an article that is click bait, plain and simple. Last week, the website MySmartPrice published an image of Geekbench 4 test results of a device listed as “Google Rammus.” The device is powered by a Y-series, Core i7 processor just like that found in Google’s Pixel Slate. The results listed the motherboard of the device as “Shyvana” and apart from that, it looked like typical Geekbench scores for an Android-based system test. All of a sudden, Google is now working on a “revolutionary” device that some are even proposing will run on Google’s own Fuchsia OS. This is a stretch of even the wildest imagination and here are a couple of facts that prove my point. Recently, at CES 2019, we had some up close and personal time with ASUS’ upcoming flagship Chromebook. The C434 is everything we had hoped for in a true successor to the fan-favorite Chromebook C302. Since we spend months tracking these new devices prior to official release, I have gotten into the habit of checking the finer details to confirm our research. 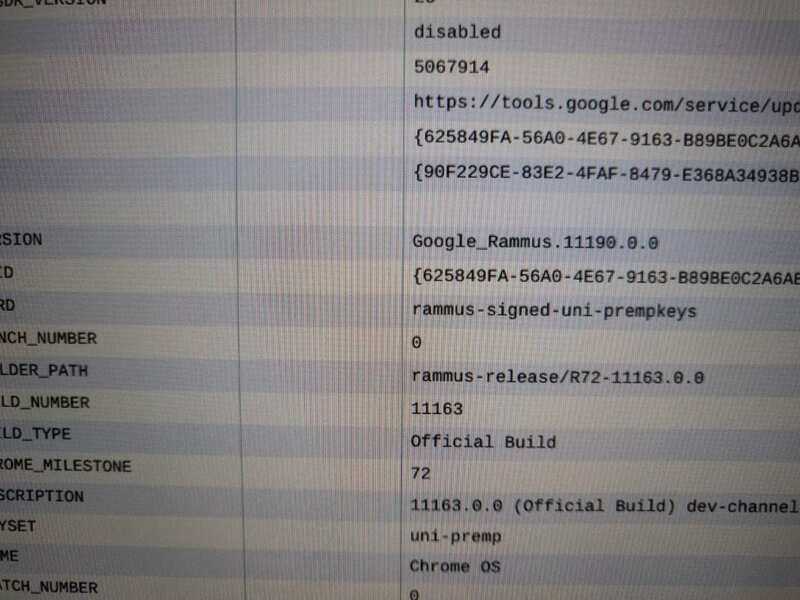 I took a closer look at the system info of ASUS’ new flagship and confirmed, it is the Chromebook we had been tracking and its board name is ‘Rammus’. Geekbench is a CPU benchmarking tool that “measures your device’s CPU and Compute performance.” It will run on Windows, Mac, Linux iOS and Android. There is not a native Geekbench tool for Chrome OS. When a Chromebook is tested on Geekbench, it is using the Android app or possibly the Linux version. The device in question, ‘Rammus’, is a Chromebook running Android apps. It is not a mysterious or unknown project that will be the next big thing from Mountain View. All Chromebooks are “Google” devices on Geekbench. The Chromium project is open-source but Chrome OS is Google’s, 100%. Even inside the Chromium repository, device mother boards are listed as “google-fill-in-the-blank. Here are a few non-Google Chromebook’s Geekbench results to support that fact. google-nami: Acer Spin 13, Dell 14 and others. None of the devices above are #MadeByGoogle. In many cases, the baseboard will be listed as the main search result and the motherboard will be the actual device name. Example: Nami is the base for a number of devices. If you click into any of these Geekbench results, you will see the specific device name that tells us which Chromebook we’re looking at. As you can see, the above benchmark is of the Nami baseboard and “Sona” device which happens to be my HP Chromebook X360 14. All of this leads me back to the ASUS Chromebook C434. The Geekbench scores in question show a device name of “Shyvana.” We know very little about that device at the moment but I have a fairly solid theory. 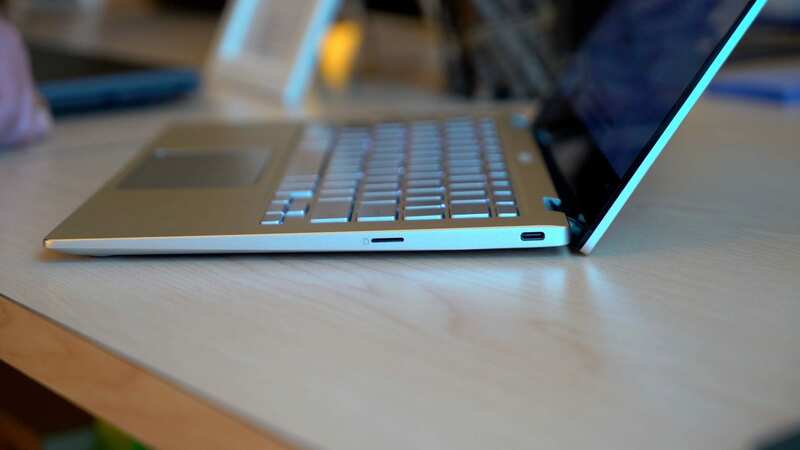 Nami is the unibuild device that is the parent of all the 8th gen Kaby Lake devices that include the HP X360 14, Acer 13 and Spin 13, Lenovo C630 and Dell Inspiron 14. All of these devices overlays are nested under the Nami unibuild. My theory is that the ASUS C434 was essentially the first unibuild ‘Rammus’ device that has now been given a sub-level name of ‘Shyvana’. I was told by a developer on site that it was his personal device that was a very early built. As the ASUS C434’s release date of March approaches, developers are tidying up bits and tying up loose ends in preparation for launch and adding the device-specific name would be part of that process. I would be willing to bet that ASUS’ newest flagship will land on shelves and we will discover it has been given the hardware ID of Shyvana. I could be wrong but I will be shocked if I am. Either way, Rammus is not a mysterious Google device. Regardless, I am super excited to get my hands on the ASUS C434. It could be one of the best devices of 2019 if our early look was any indication of what to expect. Until then, I’ll be buried in the Chromium commits looking for more exciting stuff to share.